Yes, there are orchids in flower this week besides the laelias, but photographing them has become a compulsion. They're handsome plants and so photogenic. 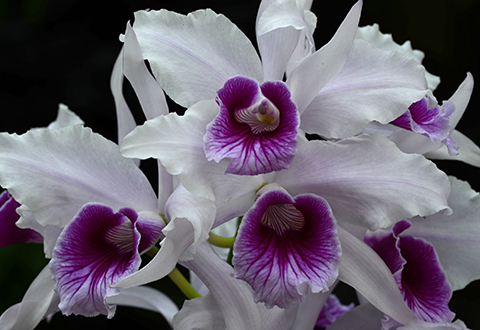 I love the evocative Latin names given to some of the laelia species--tenebrosa comes from the same root as tenebrae, a word I associate with Good Friday and which means 'darkness'. Carnea is 'flesh-red'. 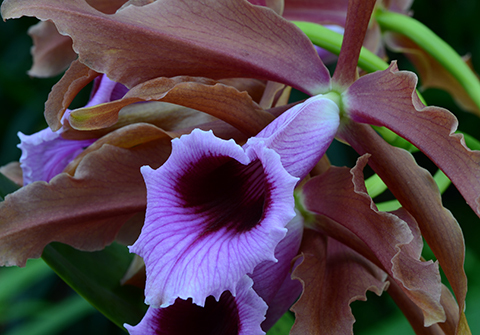 We grow our Laelia tenebrosa orchids under the same conditions as our laelia purpuratas--very warm and very bright. My heart sinks when I notice a label missing from one of our plants. 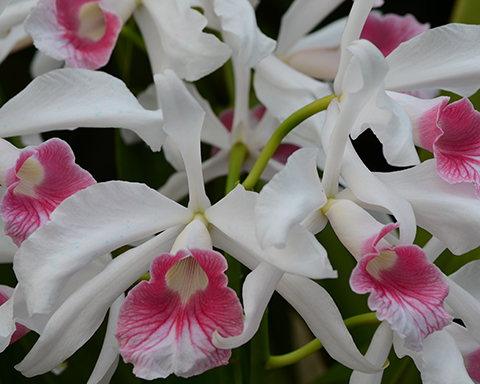 A missing label is a big headache for us for a variety of reasons, and not just because there are hundreds of Laelia purpurata varieties to sift through. Even if we succeed in identifying our plant's name, all of the other data that we have collected on that particular plant (source, acquisition date, etc.) has become forever disassociated. We usually attach our collection labels to the pot in which the orchid is planted, but sometimes labels break, or are removed. *Sigh* If you can identify our Laelia purpurata 'label missing', drop me a line. Gorgeous! Absolutely gorgeous! And maybe your newfound compulsion to photograph the orchids can turn into a "tracking" system for lost tags...? An excellent idea. Thanks, Travis. roxo-violeta? schusteriana? I don't know. But I do know I appreciate the effort you put into this column. Has inspired me to buy a membership and visit more often. Var. schusteriana is definitely a possibility, as we have several recorded in our database. Thank you for your kind remarks!